This STEP project was an internship. Working at a marketing company down in Florida, here I learned much about web development and also got to see what it’s like to work in a real environment. 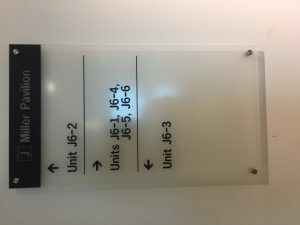 Also made a blog. There was decent amount of transformation that took place, mostly in personal maturity and learning how to properly work in a professional environment. Learning that usually in the workplace there are more than just computer programmers, it became quit thought sometimes trying to translate “computer talk” to “normal talk”. Learned some other things as well such as how the internet works: Transmission Control Protocol, Internet Protocol, Domain name servers, and hyper text transfer protocol. Another change that happened was being able to program in a team environment instead of a normal solo one like in school. This means that there was a real boss as well as other co-workers who had a set of standards and work ethics. An event that lead to personal change was this time where a strict deadline was approaching, and approaching fast. The team was stressed and very obvious it was time to really get coding. After staying late, with the rest of the team, I was able to experience what the real world is like. When something is expected to get done, it’s supposed to get done. Luckily the team and I were able to find and fix the bug before it was too late (next day). Some interactions which helped devlop myself were interactions with fellow co-workers. Learning how to keep a professional conversation was quite tough at first, but after a while I got used to it. For example not getting off topic and sending memes was something that I probably shouldn’t do during the workday. Another important thing were the relationships with the fellow co-workers and boss. Being able to learn about everyones background and also their different personalities. While everyone was a programmer, it was interesting seeing how they all go to where they were and what led them to becoming a coder. What makes people sit in front of a monitor and type confusing text all day? Mostly money. This was a very valuable experience, both helping my academic life as well as my work life. Being able to see who real world programming is, I am able to prepare to do this for the rest of my life. Also learned some crucial things related to the computer science field. For example, having professionals being able to explain topics made understanding them a lot easier – such as reverse proxying. Overall this STEP experience was pretty good, and will carry an enormous benefit in the future as well as present. Over the summer, I interned with DDR Corp, a retail real estate investment trust, in Cleveland, Ohio. DDR owns and manages just under 300 shopping centers across the country. 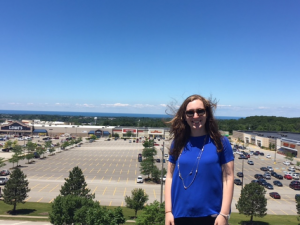 As the property management intern, I audited our signage program and found $1 million of unknown revenue, analyzed the landlord utility expenses at each of our shopping centers and discovered ways to save money, and conducted site tours and inspections at our local assets in the Cleveland and Erie area. Living on my own in Cleveland this summer was life-changing. There is a stark difference between “living on your own” in college and truly being the only person in your apartment. DDR was generous enough to pay for my housing expense, which added another level of freedom to my summer. From cooking and cleaning, to commuting, to truly being on my own to make friends, I learned what my imminent future in the corporate world will look like. I always classified myself as an extrovert until I was forced to be on my own. I found a lot of peace in my independence and could feel myself maturing every time I was faced with a challenge. Cleveland was the perfect backdrop for this transformational experience to take place. Its affordable living prices, young professional atmosphere, and proximity to my hometown, Pittsburgh, made Cleveland the best way to begin my career in the commercial real estate industry. It was an interesting time to be an intern at DDR this summer. In April of 2017, a new C-Suite joined the company and made huge changes to the company’s human capital, financial benchmarks, and operational strategies. Being able to witness the employee’s adjustment to new executives was eye-opening. Coupled with this being my first exposure to corporate America, I have a new view on the business world. Publicly traded companies on the New York Stock Exchange are a microcosm of the world around us. Filled with cliques, culture, change, successes, and failures, my internship offered me a fresh perspective and changed my perception of the business world for the better. I have the advantage of knowing the truth of what the corporate world is and I am thankful for the experience I had this summer. I was living at the ClevelandState University dorms in downtown Cleveland this summer. The first time I had to get gas by myself I drove a little over a mile down the road. I did not know what the surrounding areas were like outside of the university district and unknowingly put myself in an unsafe environment. Luckily, I was able to remove myself from the situation, but this was the first moment I was truly on my own. I returned to my apartment and had no one to talk to about the situation and had to wrestle with my emotions on my own. This experience led to my transformation as an independent woman and made me thankful for my family, friends, and childhood. Because this was my first internship, I had no expectations. I was surprised to be assigned two valuable projects during such a transformative time for the company. My boss and the rest of the property management department had faith I would be able to deliver on these projects and allowed a lot of room for independent work and growth. Looking back, I would have liked to have bi-weekly check-in meetings with my boss and would have appreciated slightly more communication, but now I know specific aspects of a company culture to look for. By the end of the internship, I found $1 million to add to DDR’s revenue stream and a couple of different ways to save money through recoding and shutting off utilities in vacant units at DDR’s shopping centers. To be able to produce these impactful deliverables as an intern, despite the management switch and adjustment to that, boosted my confidence in myself and in the company. The Human Resources Department at DDR encouraged personal growth and cross-departmental exploration throughout the internship. I was able to set up lunches and meetings with top executives to pick their brains on the industry, their journey in real estate, and any suggestions for success as a woman in the real estate. This professional growth supplemented the independent maturation I was experiencing on a more personal level this summer. Being able to go on multiple property tours and interact with our tenants and vendors allowed me to see the other side of the real estate industry. Gaining a dual perspective into commercial real estate truly allowed me to see myself in all aspects of the profession and be confident in my chosen major and interests. My experience at DDR this summer led to transformations on a personal and professional level. As graduation looms in the imminent future, I now have a taste of what the world has to offer, both in the corporate and social worlds. This internship allowed me to be confident and excited about my major choice and professional interests. I’m happy to say that commercial real estate is where I see myself in the future – the specific capacity I am not sure, but I have 2 years at Ohio State to leverage connections and resources to explore that further. Personally, I was able to learn about myself, my needs, and my tendencies as a young woman. Seeing a glimpse of what life will be like in the coming years is allowing me to prepare and know exactly what I’m looking for in a city, culture, and young professional atmosphere. My project was an 8-week long unpaid internship in London, England. This is part of the Summer Global Internship Program through Fisher College of Business. I worked from Monday-Friday 9am-pm performing Sales and Marketing activities to help my company, Flame PR, gain more clients. There were so many eye opening experiences during my time in London that I know would not have been possible if I did not go abroad this past summer. I have learned a lot about myself in that I love to see new places and meet new people and that I am always aching to do more in reaching my goals. I learned that I am not comfortable being comfortable and any chance that I get to do something I have never done before I take it. This experience abroad has taught me to appreciate different cultures as well as appreciate where I came from. I have seen so much of the world that I never knew was out there and that was very eye opening for me. Working and living in a different country changes your perspective on various situations. I learned to work with people of all different backgrounds and was able to adapt to an environment I was not used to. Ultimately, I learned to live in the present and enjoy my life that I have while I am living it. This summer completely transformed me as a person and I know that I have grown so much in the two months I was abroad which I owe all to Fisher and the STEP program. Each day I would wake up, get ready for work, and take the bus to and from work. I had a routine down that made me feel like a London native. Being in a city for two months really teaches you to use the public transportation systems which I had not known how to do before. It teaches you to have independence and learn how to navigate cities you have never been before. By the end of the trip I was able to navigate the Tube system and the bus system like I had been living there my whole life. Being able to do that was a huge accomplishment in itself. Flying to different countries on the weekend also made me a lot more independent and time conscious. I was able to travel to Barcelona, Copenhagen, and Amsterdam during my time abroad which also influenced my transformations. Each city was completely different from one another and different from what I was used to back in the United States which was very eye opening. I learned to appreciate these new cities and always looked forward to getting up each day to experience something new. This trip was filled with first time experiences for myself and I knew each day would be different. I stayed in Airbnbs and hostiles which immersed myself even more in the cities. I learned to try new foods and navigate through cities that did not have English as their first language. Traveling was a huge part of my transformation. This internship was with about fifty other students from Ohio State which was part of the best experience for me. Having like minded people on this trip made me change my perspective on relationships I have had. I learned how to meet new people and have gained so many new friendships because of this trip. There was nothing more refreshing than being able to experience new cities with other people who were in the same position as myself. I learned to live a little bit more by trying to new restaurants and going to see new places because these people pushed me to go out and try new things. My transformation from interning abroad has made me think in a way I had not before. I know that I can do anything that I put my mind to and there are no limits in trying to reach my goals. I was able to adapt to living and working conditions completely different than I was used to which is huge in the real world after college. This internship experience will open so many new opportunities for me because I was able to get work experience in my particular major. The next summer I hope to use the skills I have gained to obtain a paid internship with a big company. Going abroad to intern is also a huge differentiator among my peers which could help me stand out among recruiters. Ultimately this has been a personal transformation for myself in that I know that I love traveling and would love to see more of the world. I think that being exposed to different cultures and working in different environments opens up your eyes in a new way and understand that everyone is different. This summer has been the best summer of my life and I can say I was the happiest I have ever been in London which carried on after returning to the country. 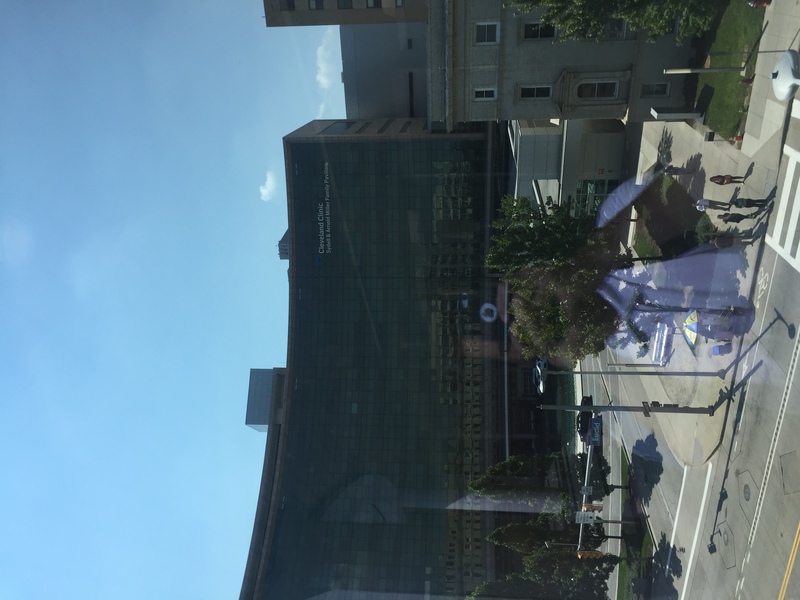 Over this past summer, I got the chance because of STEP to volunteer at the Cleveland Clinic. The volunteer position I had was under the cardiovascular unit (J6-2). My responsibilities contained going room to room and checking on patients and talking to them, stocking the supply cabinets, and anything else that the nurses in my unit required. Completing my STEP Signature Project had a huge impact on me. Growing up, especially now as a college student, I have a lot of activities going on daily and I am stressed about all sorts of things. 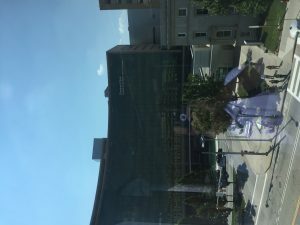 As a volunteer at the Cleveland Clinic this past summer I got the chance to go and interact with all sorts of patients from all throughout the United States. While talking to the different patients, a lot of them shared their lives stories with me. What I learned has changed my outlook on life. Some days I would talk to patients that were at the hospital from as far as California with no family members nearby and no one to keep them company. Seeing the look on their face and just how much their mood changed when they had someone to talk to made a lasting impact on me. It made me realize that sometimes as students or just adults we take for granted the most basic things in our life’s, such as just having someone to talk to or keep you company. My experience as a volunteer taught me to be thankful to have friends and family members that are close by and there to talk to every day. Another important understanding that I took from this summer was about how you should not stress out over everything like it is the end of the world and that even the negative experiences you may have, can lead to making you into a better person. A negative event right now might be a bad experience, but later in life you might look back on it and realize that it helped shape you into the person that you are. That maybe without that event to test your courage or perseverance you might not be where or who you are. Also, that you should not stress out about forgetting to turn in a homework or getting a grade on an exam that was lower than you wanted because you can go back and work harder and try to do better on the next exam. You should just be thankful that you have a good bill of health because there are a lot of others who might not be so fortunate. One interaction that led to the one of the changes that I discussed before was when I meet an elderly male who was at the hospital for over a month. The man told me that his wife had passed away a year and a half ago and that all his children live and hour or more away. While talking to him for over an hour each time I went in for my shift I could see his mood and facial expressions change. He would go from being a little down and sad, to making jokes with me and the nurses that entered the room during our conversations and constantly laughing. There were times when even after talking for over two hours he would still want to share more stories. This experience made me realize that most of us take talking to others in our daily lives for granted. That for some people, the only thing they need for happiness is to just have a conversation with someone and talk about their day. Another interaction that I had was with one patient that was having major heart problems. This patient had recently moved to a new house and after just a couple days had to come and stay in the hospital. However, the things he told me had a lasting impact on me. The first thing was that even though he was currently sad about not being able to enjoy his new house, coming to the hospital and being treated meant that he would be able to better enjoy his house after being taken care of. He also told me several of his life events. He told me that he had a more of a troubled youth and that he didn’t always make the right choices. However, after he grew up a little more and matured some, he started to realize that maybe he should better himself. So, he went to college and got a job and started a family. Then his take home message was that you aren’t always going to have an easy time however if you keep with it and do your best you will likely end up where you want to. He also told me that the things you experience and the events that happen in your life make you the person that you are. So even if something seems horrible now, later in life you might look back on the event and realize that it was the reason that you are where you are and it helped make you into the person that you are. One other even that largely impacted my transformation was getting to talk to a doctor while I was volunteering. The doctor told me that it is very important to have bedside manners and can communicate with the patients and understand what they are feeling like through your conversation with them. Being able to go and talk to patients every day that I volunteered had a huge impact on me. It helped learn some of the valuable things and understand how to keep a conversation going, but also know when the patient wants to rest. Talking to patients every day, you get to see that there is a fine balance between keeping a conversation going because the patient wants to talk some more, or the patient wanting to take a nap and rest up. Volunteering at the Cleveland Clinic was the most benefical and live changing experience that I have had. This change/transformation is significant to me in my life because of the professional goals that I have for my future. In the future, my goal is to become a doctor. Being a doctor means knowing how to interact with and listen to patients. It also means being able to relate to a patient and form a bond of trust. One very interesting experience that I had this past summer is a great example of that. One day while I was doing my volunteering rounds and speaking the patients on the floors I was assigned to, I came across a family who told about the difficulties that they had experienced with several doctors. The family (coming from a rural mid-Ohio area) only had a small hospital near the town they lived in. The family (mother, daughter, and grand-daughters) had a rare disease and had been coming to the Cleveland Clinic for testing and help treating it. However sometimes they would emergency help so they would go to the hospital near their town. They told me that their, the doctor (who had not heard about the disease before) would not listen to them about how it should be treated and would not even read the paper that they brought with them about the steps taken in case of an emergency from Cleveland Clinic. They told me that to them and a lot of other patients the most important thing for a doctor to do when they don’t know about a disease is admit it and read other papers even if they are from a different hospital. This is very important in my future because as my main goal is to be a doctor, I want to be the best doctor that I can be. Being able to hear stories like this from patients and how when I am a doctor I can help make sure that my patients don’t go through the same experiences is a huge benefit to me. It means that I can be there more for my patients when I am a doctor and help give them the best care and experience that I can. Another important lesson and attribute that I took from volunteering at the Cleveland Clinic this summer was bedside manners. While volunteering at the Cleveland Clinic I talked to a doctor who said that the most important thing (which a lot of new doctors lack) are bedside manners. So being able to go room to room and interact with patients was a huge benefit that will be helpful to me in the future. My STEP Signature Project was an internship in Spain. During my Project, I worked for a company called AutoScout24 in the marketing department. I worked every day, Monday through Friday. On the weekends I was fortunate enough to travel and experience Europe. This experience truly changed how I view the world and myself. Generally speaking, before I left for the trip I would say that I was open-minded. Traveling to different countries helped me to realize that before the trip I had actually been closed minded. All that I would ever think about is what is going on in my life or what is going on in the US. What you don’t understand is that there is more going on in the world than what is happening in the US. That there are other people in other countries struggling, suffering, going through all sorts of times. One experience that really changed my perspective is seeing all the people begging on the side of the street in Madrid. It wasn’t like the US where the beggars were your average-ish person, for the most part, they had deformities and other issues. It was hard to see that people in their situation probably do have to rely on begging to make money. That was definitely a situation that I had to take a step back and think about where I am in life and how fortunate I am. That would constantly weigh on me seeing as I would always see the beggars on the street. From the end of the trip onward, I told myself that I would be more grateful for how my life is. Just this last semester I ran into some difficult times with family and school but I thought back to how hard those beggars had it and it helped me understand that my predicament will eventually subside. Another experience that changed me on my trip was traveling. I realized that life isn’t about what you do or where you go. Instead, its about who you do those things with. I was fortunate enough to have met such great people on my trip so that wherever I went I could truly enjoy everything. Most people would say that all they want to do is just to travel the world but, what is very important, is the people you are with. Because of this realization of what life is really about I have been contemplating the path in life that I am taking entirely. I’m not entirely sure I want to follow the traditional business path and instead create my own path to follow. Although I am not entirely sure what that is I am excited about what life holds next. Lastly, I realized how I react in situations where I am unfamiliar with the environment. This whole experience showed me how I deal with different types of stress than I have never dealt with before. Trying to navigate your way around a foreign country, with limited to no cell service, unable to speak the language really helps you be able to buckle down and problem solve. I remember thinking prior to the trip going to a different country where I don’t know anyone, speak the language, and stay there for two months was a huge endeavor. To be honest I was quite nervous because I had no idea how this would turn out. I stuck with it and a short time after I had been there I met some great friends that I eventually began to get comfortable with. Finding a group of friends really helped me to focus on how to deal with the other natural stress from the trip. This transformation is valuable for absolutely every reason. Every day that I was in Spain or traveling I was learning a completely different set of skills. How to react in different situations that I haven’t ever experienced before, how to stay calm and collected in stressful situations, and more. I realized from this experience that I really want to live to live rather than live to work. I have decided that I want to better myself and continue to push myself out of my comfort zone. My STEP experience was truly one that I can say changed the way in which I view my passions, goals, and the world around me. This summer, I had the opportunity to conduct my STEP project in my hometown of Cincinnati, Ohio as a Cyber Software Engineering Intern at Northrop Grumman for a duration of 12 weeks. During the internship, I was tasked with studying and furthering my knowledge in Cyber, working on a team of Software Engineers to improve a vast testing framework, and learning about the defense industry. Through my internship with Northrop Grumman, I learned much about myself and the work that I desire to pursue in the future. Prior to working the internship, I had my sights set on the video game industry as a potential career. After working for this outstanding company, I was exposed to cyber and defense. I believed that the defense industry had a tendency to be volatile based upon the needs of the United States government, however, after learning the “ins and outs” of defense contract bidding and buying, I became convinced that the need for cutting edge defensive technologies was here to stay. Not only did I learn about my own interests and the mechanics of a new industry, but I also learned about how I can use the work I do at Northrop Grumman to change the world. While the video game industry is exciting and would be work that I would personally enjoy, at the end of the day, I am just putting another product on a shelf. My STEP signature project exposed the dangers that the United States and individuals face everyday, and that I can make their world a safer, more secure place in which to live. I can secure individual identities, help fight cyber crime, help the United States secure National Cyberspace, and many other applications. I learned many concrete skills as well, like bash scripting, the way in which mobile devices send and receive information and was trained in Certified Ethical Hacking (CEH). I grew in my personal health in addition to professionally. The Northrop Grumman facility offered an employee gym that was free to use for the entirety of summer, and I was able to utilize it three days of the work week. Through this experience, I was able to improve my health and knowledge of human nutrition and self-care. There were many experiences that contributed to the above professional and personal development. Much of this development came with the formation of many relationships with my coworkers and supervisors. As I progressed throughout the internship, I was able to work and collaborate with many senior engineers at Northrop Grumman. With their help, I was able to better understand the projects I was working on, and how the work I was doing helped the senior engineers around me. As the relationships grew, I gained hands on experience with new technologies, projects, and unique reverse engineering techniques that I can use in the future. As an intern at Northrop Grumman, I, and many of my fellow interns, were given the opportunity to take a training course in Certified Ethical Hacking. The course was a total duration of approximately 70 hours, and included training in penetration testing, ethics, networking and cyber knowledge, policies, prevention, and workplace education. At the end of this course, I became eligible to take the Certified Ethical Hacking exam and gain a globally recognized certification in “white hat” ethical hacking. Without this course, I would not have gained much of the knowledge that I now possess in the cyber security field. A third of many valuable experiences that shaped my professional growth over the 12 weeks was the periodic performance reviews and reports. Through these reviews, I learned how to communicate progress on specific projects as well as inform my supervisors of steps that will be taken in the future. While performance reviews were encouraging in many cases, I also learned how to take constructive criticism and build upon my own habits, skills, and practices so that I can become a better leader and engineer in the long run. At the end of the summer, it was communicated to me that I had improved my technical and soft skills over the course of the 12 week internship. My potential to be an effective leader and skilled engineer gained me an offer to return for an internship at Northrop Grumman during the summer months of 2018. Academically, I will be able to attribute much of my knowledge to the hands on experience that Northrop Grumman provided over the course of 12 weeks. As many students know, understanding the material taught in class is only part of the learning experience. It can be difficult to put worth to what is being absorbed during class time without hands on, practical experience in the field in which one is studying. After the conclusion of my STEP project, I have gained the ability to understand how the information that I am being taught will be useful in the future as an engineer. I believe that without my recent experience, I would still be searching for this purpose in my studies. While it is still early in the autumn semester of my third year, I have already experienced the purpose of ethics and the importance that it holds in the industry in which Northrop Grumman leads. Finally, I am now a step closer to accomplishing personal goals that were set at the beginning of my college career. I was able to gain valuable experience before my third year at The Ohio State University in the form of an internship. This experience marks the completion of a short term goal with long term effects. In addition, I have also been exposed to a unique industry where I could see myself residing for a long period of time or even entire career. As a student with no previous engineering experience before beginning my journey at Ohio State, I feel very confident in my choice of major and academic focus area, and am excited to pursue a career in the defense industry. This summer I worked as a Digital Business Solutions intern for Ericsson in Madrid Spain. I worked on two large projects, the first being a Impact project discussing the potential Use Cases for 5g internet in different industries. The second project I conducted was a business model for the monetization of private spatiotemporal data. My Step project in Madrid was definitely transformative in my understanding of different cultures and business’s. It gave me a great appreciation of not only the life that we have as an American citizen but for the new relationships that you can make everyday. Also, the corporation I worked for gave me great insight on how a massive company maintains it culture and taught me so many things about an industry I had never really thought of. The telecommunications industry is overlooked by the average person that uses it in their everyday life. Overall, everyday work interactions with young professionals really gave me a good idea of what to expect in a professional setting which is great experience. I’m going to define the 3 relationships that most led to my growth over my two months in Madrid Spain. The first relationship that was the most influential was definitely with my boss, Manuel. Manuel is the Head of Technology and Innovation at Ericsson Madrid’s office. He has a massive amount of responsibilities but still made plenty of time to mentor me throughout the entire summer. During the projects I conducted, regardless of how much time, effort, or thought I put into each part of each project, he would push me to think about every angle. I can’t discuss heavily the specifics of my 5g innovation project due to a confidentiality agreement, but he worked with me extensively to adapt to every weakness my idea encountered while finalizing it. It was his attention to detail and supportive mentoring that made this experience so excellent. The second group of people I grew from the most were the other co-workers and interns at the Ericsson office. These guys; Hector, Sam, Pablo, Nacho, and Miguel, made it fun to go to work everyday and were quick to include me in their daily coffee breaks. One of the coolest things that happened during my work this trip were these coffee breaks, we would talk about such a wide range of things. Whether it was politics, sports, laws, customs, even more politics or our dreams, it was incredible to see your life from an entire different culture. My friend Sam had grown up in Syria, and now lived in Madrid as a Coder while much of his family still lived not far from a warzone. The one thing he always talked about was his dream to come study or work in the States but the cost was much to great for him to afford with all the financial aid he sent home to his family. If that alone does not give you perspective on your current struggles, I don’t know what will. We discussed politics from each angle and they told me their views of different American stereotypes. All of these conversations will be something that gives me more insight on my day to day life than my job ever could and will be something I remember. The third group of people that influenced me in a much different way would be the MBA students at IE business school that conducted the 5g impact project simultaneously to me. Once again, subject matter is confidential, but the way I was able to watch a group of students from the one of the most prestigious MBA programs in the world interact was something I will not soon forget. The way they work in teams and delegate work is something that I can definitely apply to the way I work on group projects at school. They were very disciplined in their conversations and challenged every idea the best they could to get the best results, and adapted when they received feedback from the CEO of each teams particular company. All of the changes and experiences I discussed from my summer internship will be very significant in my life for so many reasons. First and foremost, my internship experience makes me a significantly better internship candidate for the next year as I take the next steps in finding a career. Also the way that my boss influenced my way of thinking will extremely useful inside and outside both the office and the classroom for the rest of my life. It will allow me to expand my thought process and not leave it to be narrow. Lastly just appreciation of what I have and perspective on daily life in the US that my corkers gave to me is something I don’t plan on forgetting soon. 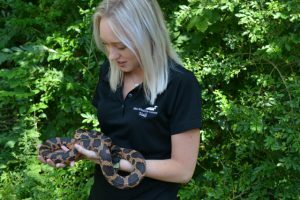 Overall the experiences from my Summer 2017 internship is something I cant replace. This summer, I received STEP funding to participate in the NIH’s summer internship program at their main research campus in Bethesda, Maryland. I studied drug response in rhabdomyosarcoma under Dr. Frederic Barr in the National Cancer Institute. I have been in a research lab for many years at OSU, where I study tRNA biology in yeast. I have come to see the value of basic research in scientific discovery. At the NIH, I was able to participate in translational research, where I was closer to seeing the medical outcomes associated with my field of work. This was my first time working with human tumor cell lines, and I realized how differently they had to be treated. I was able to better appreciate the flow of knowledge, from genetic manipulations only easily performed on basic living organisms, to application in in vitro human studies. One thing I found so striking about the NIH was the facility’s design. I was working in the clinical center, a building that was half-hospital, half-research labs. My lab belonged to the department of pathology, and one afternoon, the staff took us on a tour of the pathology facilities. I discovered that the autopsy and biopsy rooms were literally down the hall from where I was doing my research. I was amazed at how well the NIH was able to integrate the bench-to-bedside approach. I definitely used to think that basic research was less important that medical research, and I found it frustrating that the research I was doing at OSU didn’t have a direct application to human studies. However, while I was working with human cell lines at the NIH, I realized that many of the experiments we run in my lab at OSU are impossible to perform on human cells, because their complexities don’t allow for many manipulations. I now understand the unique genetic control we have over simple organisms like yeast, and how discoveries found on the more basic level are the building blocks to understanding human diseases. I was particularly struck by the difference in time length in procedures. Some of the experiments I was doing at the NIH were the same as the ones I do at OSU, but since I was working with a different species, they took much longer. For example, a growth curve would that used to take me 12 hours would now take me 10 days. I think I always glorified translational research without realizing that it took so much more work than basic research. Now I understand why so many PIs choose to stick with their model organisms! I once thought that I wanted to do research at the NIH clinical center, so I was very excited to be spending the summer there. However, I realized that I was as interested in translational research as I thought I would be, and I discovered I did not like the federal government’s environment as much as I enjoyed academia. While I am still very excited to do research in my future, I would like to continue to work in an academic setting, where I would be able to mentor more students rather than work with full-time research scientists. For my step project I worked an internship in a retail distribution center for Gap Global Supply Chain – located in Groveport Ohio. While I was there I worked as an Industrial Engineer and directly contributed/completed projects having to do with ergonomic assessments, distribution optimization, and database administration. This project let me really begin to understand myself as an adult. For this summer I was living away from home, working a 40 hour work week, and generally just being self-sufficient. Through this process I started to figure out what life post college will (or at least could) be like. Wake up, go to work, come home, eat dinner…then what? I had no idea what to do with this blank time after dinner but I challenged myself to find activity for it. With what, I will discuss later. The other thing this project let me understand was how I felt about my possible/likely career path. Although this was not my first internship, it was the first one that applied directly to my major and it was very eye opening. I learned a lot of things that I liked about my major (more particularly the job track I was in) but also stumbled across more than a couple things I was not a fan of. Upon leaving my internship, I knew what I had no interest in the realm of distribution centers but did find out that I had more of an interest in ergonomics. In this way I was transformed. I originally thought I would be spending my career managing warehouses but in reality I may be doing a more research and development approach. When I first started working at the Gap I was very excited. This new environment of a distribution center seemed interesting and busy with plenty that needed to be done without ever having quite enough time to do so. It was my kind of place. However, about a month in, the concrete floors and metal girders had both lost substantial amounts of their original sheen. Once I had gotten a feel for the distribution center I found myself wanting to spend less and less time there. The projects I was working on were like pulling teeth to me and I just really was not enjoying the world of reviewing standards in a warehouse all day. However, around the same time I got one of my big projects. I was assigned to may job safety and physical demands assessments for the entire facility. It is objectively a very boring and tedious task. It involves observing each individual job being done and then measuring and adjusting the work area to optimize productivity and minimize worker injuries. In other words, I was doing very basic ergonomic work. I had always been familiar with ergonomics due to my mother practicing them with her job as a therapist but this was my first hands on experience with them. Long story short, I really enjoyed doing the project and became even more interested in ergonomics to the point that I am currently planning on changing my focus away from supply chain logistics to human factors and ergonomics. I would count that as a transformation. A separate but also notable transformation from this summer was my discovery/interest in painting. Earlier I mentioned that I had to find a productive use of my “post dinner” time. Well I found a fill for that time and it was painting – particularly spray painting. Without this summer I would have never discovered my knack for this activity, nor would I have a creative outlet. 1. My STEP Signature Project was to participate in the Columbus Foundation Summer Fellowship Program. 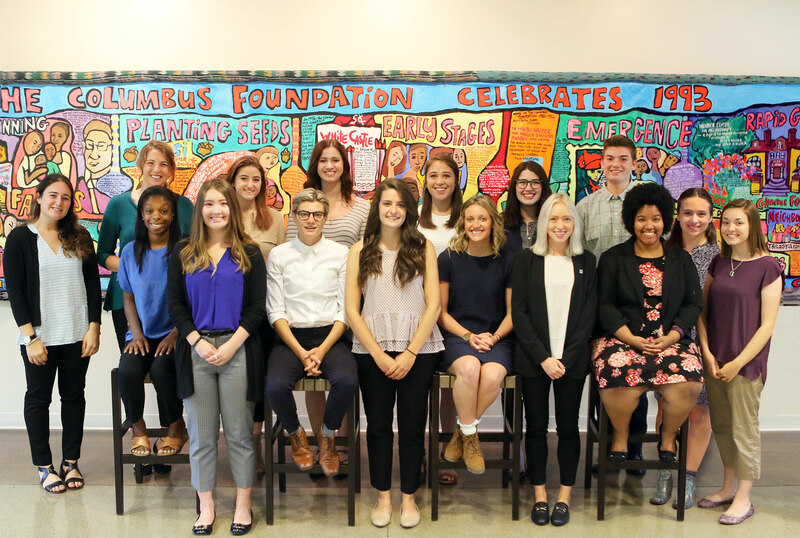 This program pairs selected interns with a local nonprofit in the Columbus area and entails learning sessions to encourage innovation in the nonprofit sector. 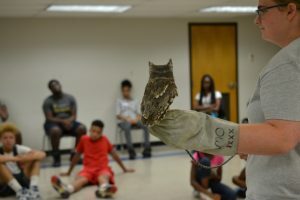 I was placed at Ohio Wildlife Center, a wildlife hospital, rehabilitation center and education center working in the administrative department. 2. My understanding of the nonprofit sector was transformed during my STEP Signature Project. As a Public Management, Leadership and Policy major, I know that I one day hope to work in the public or nonprofit sector. I had had several nonprofit experiences before but never one so immersive into the nitty gritty of the daily operations of a nonprofit. Throughout my experience, I came to realize that in the nonprofit sector you may have one title or project, but you ultimately wear many different hats at once. Every day was different, filled with new challenges. As a Type A control freak, I originally found this to be frustrating and overwhelming. I wanted rigidity and structure, but that traditional sense of organization is often not present in the busy and chaotic world of nonprofits. By the end of the summer, I learned how to truly go with the flow, learning and growing as I went. We often want to plan every detail of every second of every day, but when that plan goes interrupted we fly completely off course. This wearing of many hats allowed me to thrive in ambiguity and understand the potential of the unknown. 3. During my STEP Signature Project, I formed an incredible working relationship with my supervisor, Logan Oates. He came to each day excited and ready to help. While he has his own fires to deal with, he often spent much of everyday putting on a different hat and putting out fires for anyone else who needed it. His compassion for others and love for the work inspired me to focus less on my own issues and all consuming stress, and use that energy for the benefit of others. Logan would give little gifts to his coworkers, ask them if they needed help with anything, go rescue injured animals, and millions of other things not in his job description. Working in the nonprofit sector or truly any job you are passionate about, means going up and beyond every single day. I realized that in the nonprofit sector, these people not only care about their organization’s mission or cause but also each other. I call this caring with a capital C. My coworkers were so open to putting their own agendas on hold in order to help out someone else, a different environment than I’ve ever seen in the private sector where it’s often every man for himself. This immense caring energy called my attention to not only how I treat my coworkers but also human beings in general. These relationships I formed have helped me to realize the importance of workplace culture as well. This is a value I will carry with me into my future roles as an employee, manager and beyond. The necessity to value every human being (and animal) belongs not only in the workplace but also in my day to day life as a student, roommate, friend, daughter, etc. 4. During this internship, I realized that my true passion lies in policy. That I want to make it or influence it or define it in some way, shape or form. While my future may not lie in an animal mission related nonprofit, this sense of intentionality in caring for others will serve well in the policy realm as well. We all need to care more, especially in terms of public policy. My intent is to carry on the tradition of Logan Oates, notice more, give more, be more. Spend less time on my own self-serving missions and more time adding to the success of others because he has shown me that that can be even more rewarding. I will forever be grateful for my summer in the wild and the life lessons learned alongside some skunks, coyotes, snakes, birds, owls, foxes and butterflies.